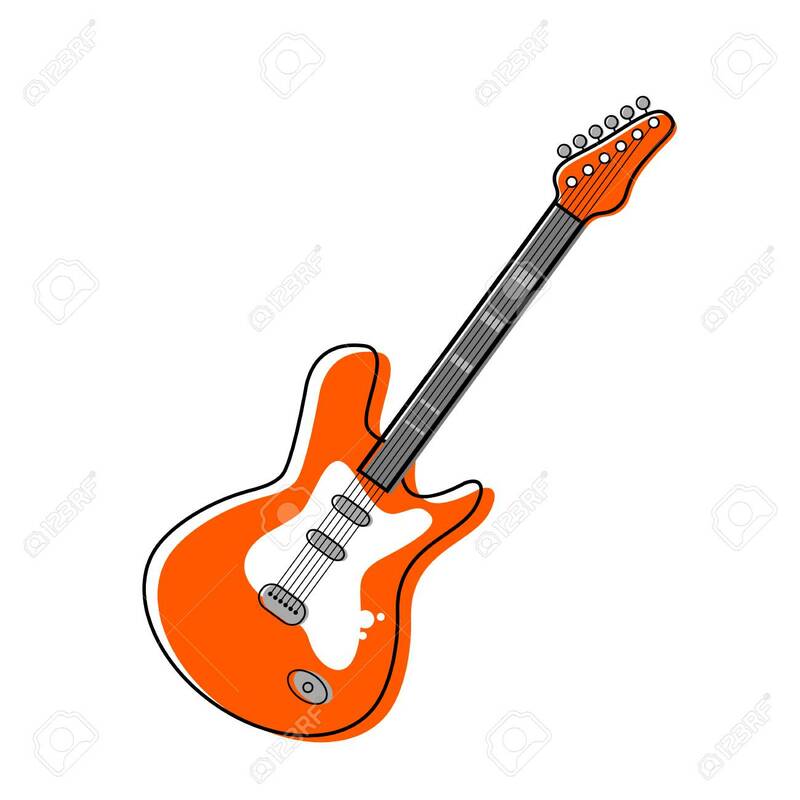 Orange Electric Guitar In Cartoon Style. Flat Vector Illustration Isolated Clip Art Libres De Droits , Vecteurs Et Illustration. Image 119150382.